Hello. I’m going to make a confession here, I often judge books by their covers. I know!!! I’m sorry!! But book covers are important, crucial, kerb appeal! Another confession, though less outrageous as the latter, as a blogger, I very rarely approach publishers directly and ask them to send me book, it always feels a little cheeky. BUT, this was one book that I spotted round about on social media land and wanted, desperately, to read and hopefully blog about. This is Kevin, written and illustrated by Rob Biddulph and published by Harper Collins Children’s. (Thank you Harper Collins for hearing my plea and sending me a copy of this gorgeous book). My initial love of this book was based, purely upon the cover, and in this instance, the glorious outside has perfectly represented the glorious inside. 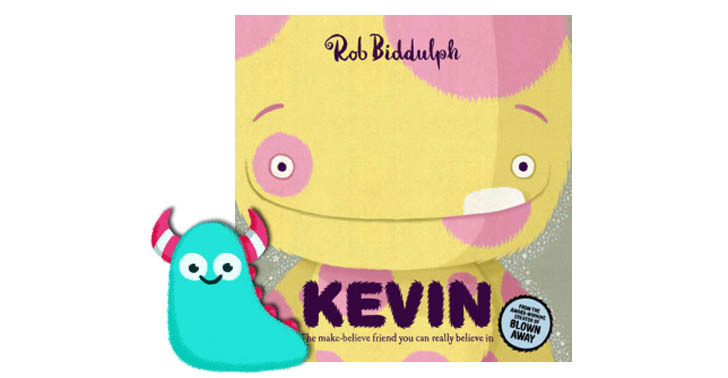 Kevin is the story of a little boy called Sid Gibbons, who is a bit accident prone, but rather than confess to his accidents, or take more care, he blames his imaginary friend, poor, vanilla furred, pink spotted Kevin! One evening, however, Sid is enticed up to the attic into a whole new fantasy world full of monsters, and Kevin of course! In this world, it turns out Sid is the invisible one. On realising this, he starts to cause mischievous amounts of chaos and destruction, not really understanding and realising the repercussions of his actions. As the roles are reversed, Sid soon learns an important lesson about friendship and taking responsibility for his actions. Not only is Kevin a brilliant story for offering educational value in teaching children right from wrong and about valuing friendships, it is just great fun. Written in rhyme this story flows really nicely and it’s one I’m really looking forward to reading out loud at our library story time. I think the thing which stands out about this book and with all Rob Biddulph’s stories actually, is the design and the illustration, it’s glorious and enchanting. The characters are sweet and incredibly endearing. There is always a page turn in Rob’s books which leads to a gasp moment, a page turn which leads to a stunning technicolor spread that will feel like the light has been switched on in the book. It really is absolutely stunning. 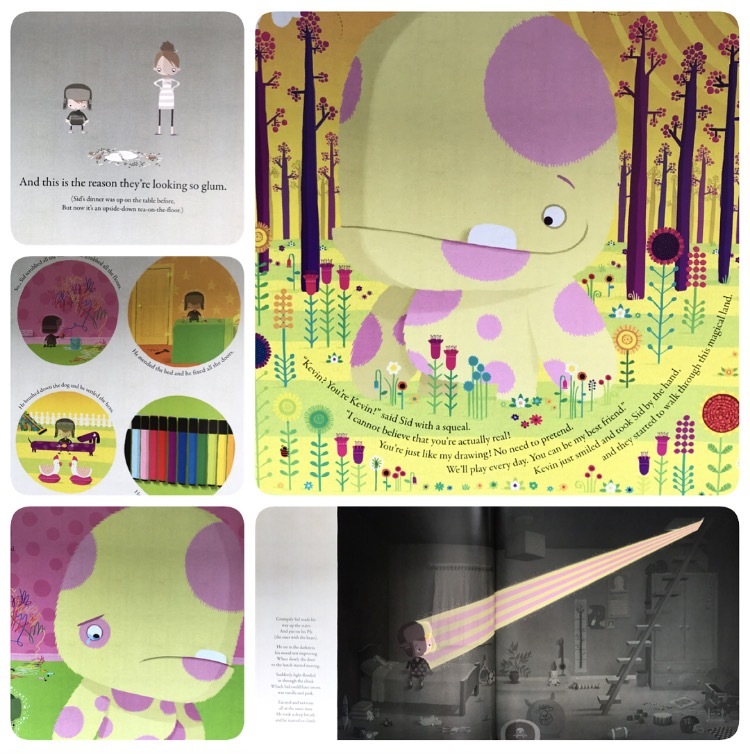 With his graphic design background, the picture book looks clean and modern and perfectly put together. Kevin covers numerous subjects from friendship, kindness and owning up in an incredibly sweet way along with stunning visual effect which is a pleasure to read, bringing enjoyment to a story about very important subjects. 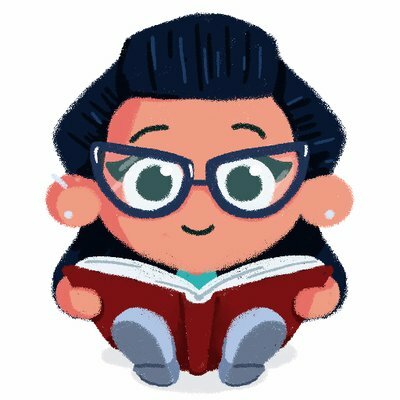 Empathy is being increasingly recognised as hugely important in children’s books, and this is something Rob covers particularly well, and Kevin wins again on this subject. 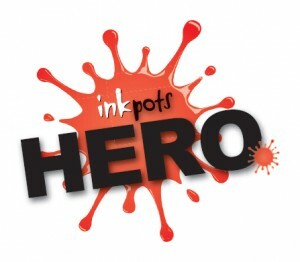 A brilliant, fun friendly and bright read for children. A Book Monster favourite! Kevin is now available from all good bookshops and libraries. Do also check out Rob Biddulph’s other brilliant titles!